Tata Indica V2 Hire Bangalore ,True to the tradition of the Tata Group, Tata Motors is committed in letter and spirit to Corporate Social Responsibility. It is a signatory to the United Nations Global Compact, and is engaged in community and social initiatives on labour and environment standards in compliance with the principles of the Global Compact. In accordance with this, it plays an active role in community development, serving rural communities adjacent to its manufacturing locations. 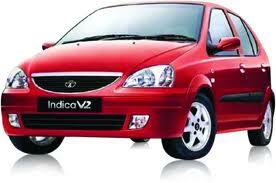 Tata Indica V2 hire bangalore,Tata Motors believes in technology for tomorrow. Our products stand testimony to this.Our annual expenditure on R&D is approximately 2% of our turnover. We have also set up two in-house Engineering Research Centres that house India's only Certified Crash Test Facility. We ensure that our products are environmentally sound in a variety of ways. India's favorite family car now comes with added muscle - The all new Tata Indica V2 Turbomax. A powerful 71 PS BS4 engine delivers an incredible 19 kilometers to the litre. The widest cabin in its class comfortably seats five. And state-of-the-art safety features make it the ideal car for the family.